The next give away it the actual email address of ‘sandrac@telelinkca.com’ which is obviously not a real FedEx email address. The 3rd give away was the “Label” number. 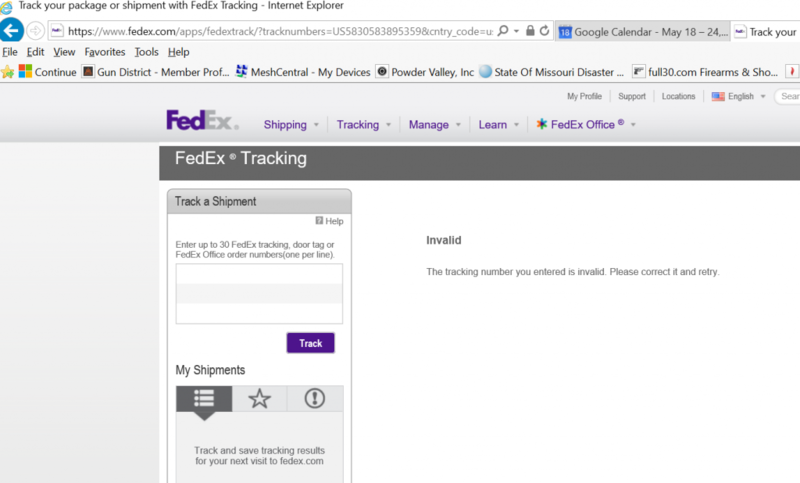 FedEx does not use ‘label’ they use tracking and the tracking number does not match any I have seen before. If however you could not tell that, the easy way is to simply go to the FedEx web tracking site and enter the number, manually. Don’t cut and paste, some day malware will be able to attack that way! Sometimes your “SPAM” filter will not catch this type of email and your anti-virus will not stop it (because the payload has not been launched). That is why you need to take the time to look at an email before you open it. That’s all for now, short and sweet. This entry was posted in E-Mail Issues, Malware, Security, Trojans, Virus, Worms by The Weekly Geek. Bookmark the permalink.